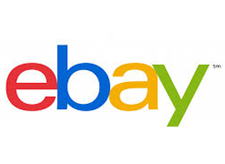 We know that you're busy doing everything you can think of to make your eBay business successful. You eat, sleep, and breathe your business, analyzing each potential move for its risks and benefits. But, as busy as you are, you've got one more task, and it's imperative. You have to answer the following question. What will I do to keep my business alive in the event of an emergency? Nobody wants to think in terms of the worst that can happen, but that's why it's so important to answer this question when everything is good. If you can't concretely answer it, and off the top of your head, you've left yourself vulnerable to lose a good deal of what you've worked so hard to build. On the other hand, if you put a solid emergency plan in place, you don't have to worry about worst-case scenarios. You'll be able to devote yourself even more thoroughly to the business of business, because you'll have a definite plan to fall back on if something catastrophic happens. One of the greatest advantages of operating an online business is that you can continue working at your job, even when you may not be at your best. You can muddle through a nasty cold or a week with the flu, and no one need be the wiser. But, there are emergencies that will force you to turn your attention away from your work and to the issues of your family and the rest of your life. Whether the catastrophe is broad such as a blizzard or national emergency, or private, such as an accident or family death, you need to know that your business will be fine until you can turn your attention back to your job. Emergency preparedness for an online business takes more than one form. There is the physical part of being prepared, with computer backups and generators, and then there's the customer-based part of the plan. The physical emergency is more likely to be a major storm or national catastrophe, and preparing for it is much the same as preparing for any other big disruption. But customer-based preparedness is more likely to be specific to your own situation. How will your customers know that everything in your business life has come to a halt while you deal with a family emergency? We'll look at both types of preparedness. Starting with the physical, because it's easier, let's look at the central nervous system of your business, your computer. Routinely back up everything you do. Best-selling author and work-at-home expert Paul Edwards recommends external drives and Cobian's Backup 8, a free software program that automatically backs up your computer files. Paul is also a fan of online data storage sites. These routinely charge a monthly fee, but your information is stored at a remote location, making it safe from fire or flood damage. Your records include more than just your transactions and your PayPal history. Be sure you have exact and up-to-the-minute records of your current inventory. Also make certain that you have the proper insurance to cover the loss of your inventory, so that you won't be left paying for product that you can't sell, because it's damaged. If you live in an area prone to devastating weather like blizzards or hurricanes, you'll have to plan for an extended loss of power, which is a huge business problem. A generator, in this case, is not just a great convenience. It's a necessity, and it could be the key to keeping your business alive. Finally, since your business and home life are so completely intertwined, be sure you're well stocked so that you can actually stay functional for an extended period of time. That means making sure you and your family have the basic necessities to sustain a healthy life for at least several days. According to Paul, these necessities include a full pantry and vehicles with full tanks of gas. We'll add to that list, at least a gallon of water for each member of the family for each day you plan to cover. If you live in a remote area, you should prepare to be self-sufficient for about three weeks, he advises. For most of us, we'll do fine with a week's worth of supplies. Under these circumstances, you won't be operating at full-speed, but at least you'll be able to keep your business afloat by communicating with your customers and keeping in touch. We'll talk about the customer-based emergency plan next time. In the meantime, make your plans, and here's to hoping you'll never need to use them.